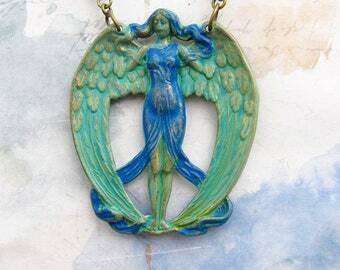 Blue green patina finish dances about this sweet mermaid necklace. 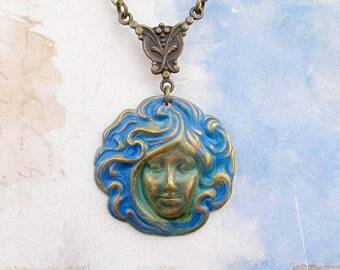 Mermaid brass stamping is made in the USA. 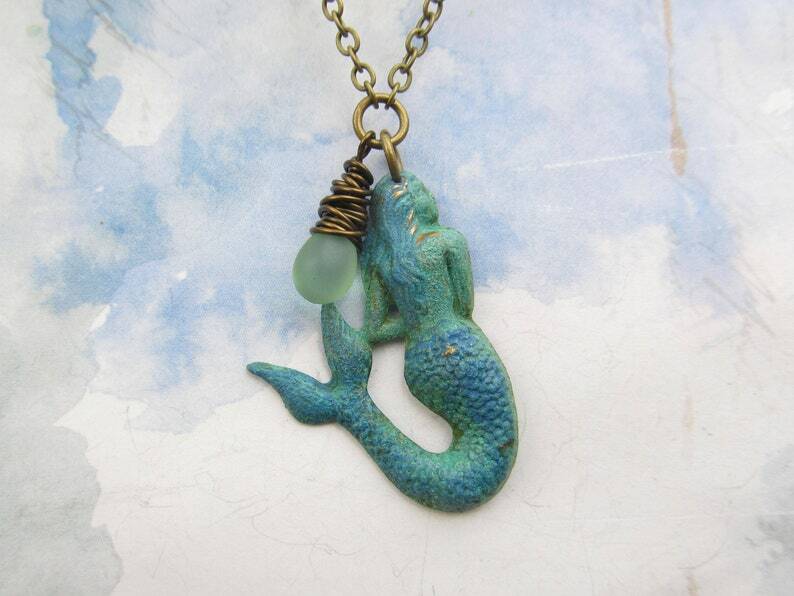 Dangling next to the mermaid is a wirewrapped green glass tear drop bead from the Czech Republic. Antiqued brass cable chain and lobster claps are nickel free.